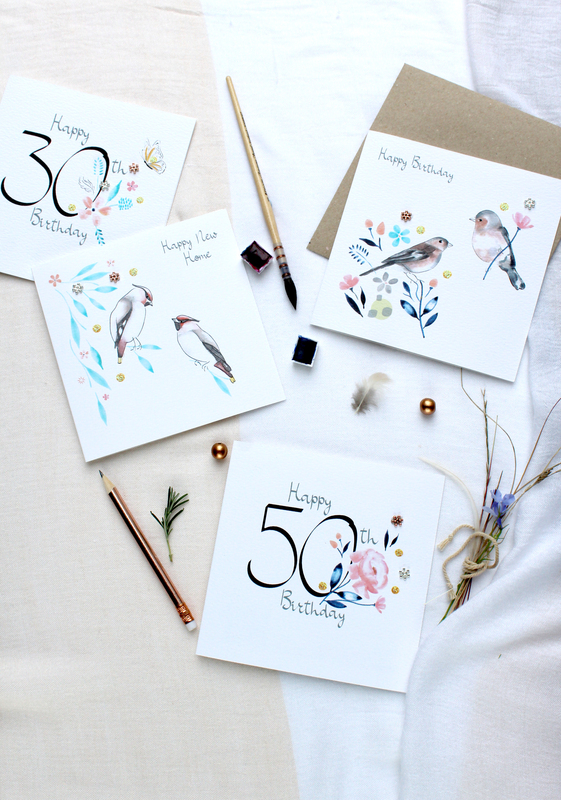 Retailers already stocking our cards would notice that some feathery friends have shaken off their winter attire and have put on a rather cheery faces as sitting amongst spring foliage and fresh blooms. That’s right, we have added new designs to our popular range Fly and it has been much fun creating them. The designs follow the same contemporary watercolours as original launch but updated with jewels and glitter dots. The new designs have everyday and age captions and they would help retailers refresh the store shelves for the birthdays and occasions now while their focus is still on the most important retail event in the calendar, Christmas. The cards are available to order as printed or handmade cards, both competitively priced. To view the new designs and our new catalogue, please get in touch and we will be happy to send one along.